I was watching Laika’s new movie Paranorman when I got a surprise. You’ll notice poor Potato is missing. And a $5000 reward! 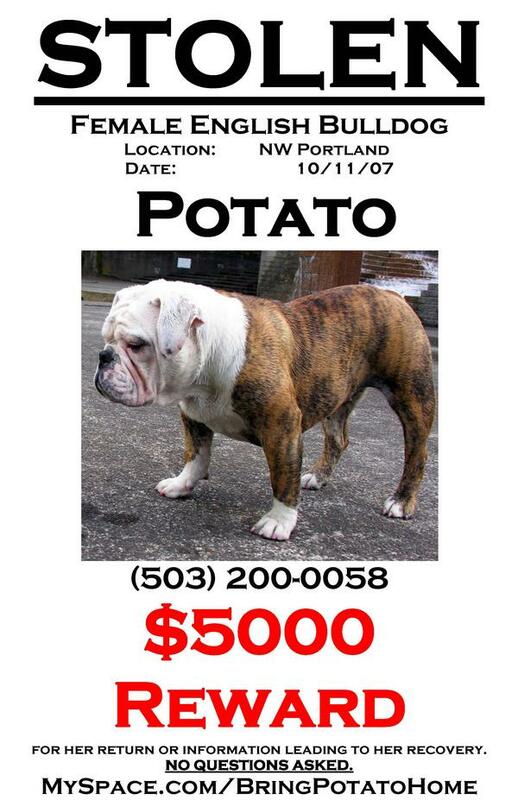 [5-3-2013 update] Actual owner of Potato saw this posting and said that poor Potato just went missing and has yet to be found. No contractors, etc. If you’ve seen her, do drop him a note. So, that’s the strange story of Potato the bulldog; and the story behind a seemingly random posting on a movie power pole.